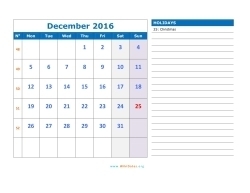 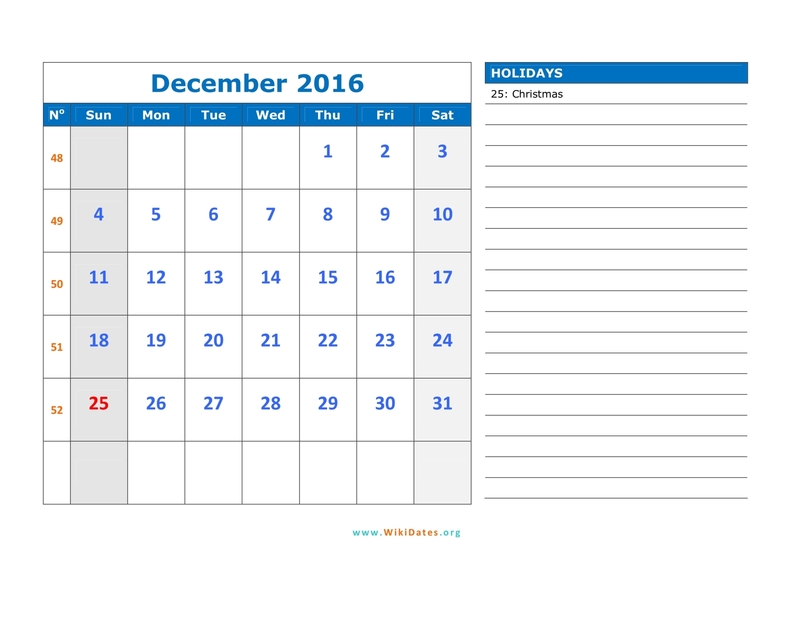 • Download Printable December 2016 Calendar with federal holidays and week number as MS Word, PDF (Adobe Reader PDF) and JPG (Image format) in US letter paper format. 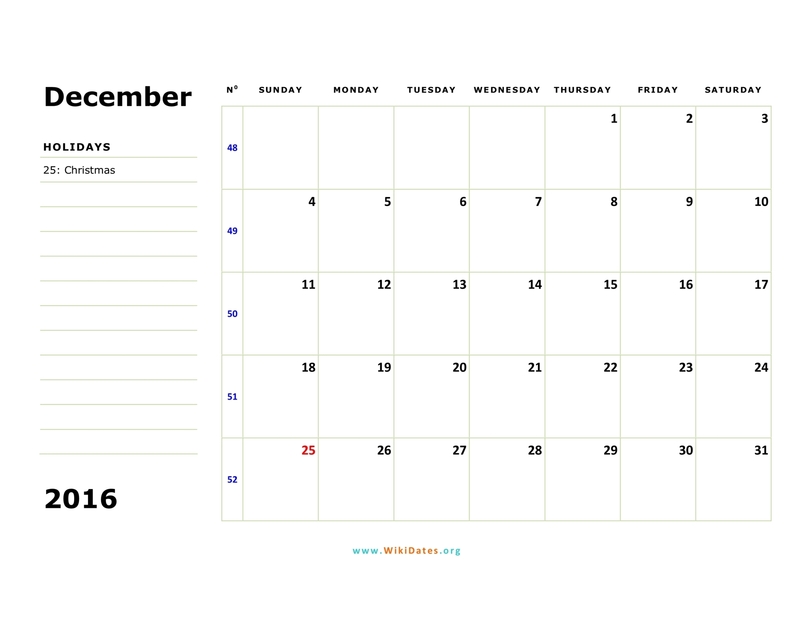 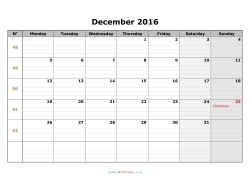 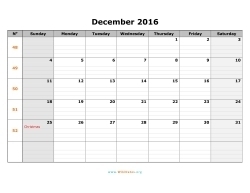 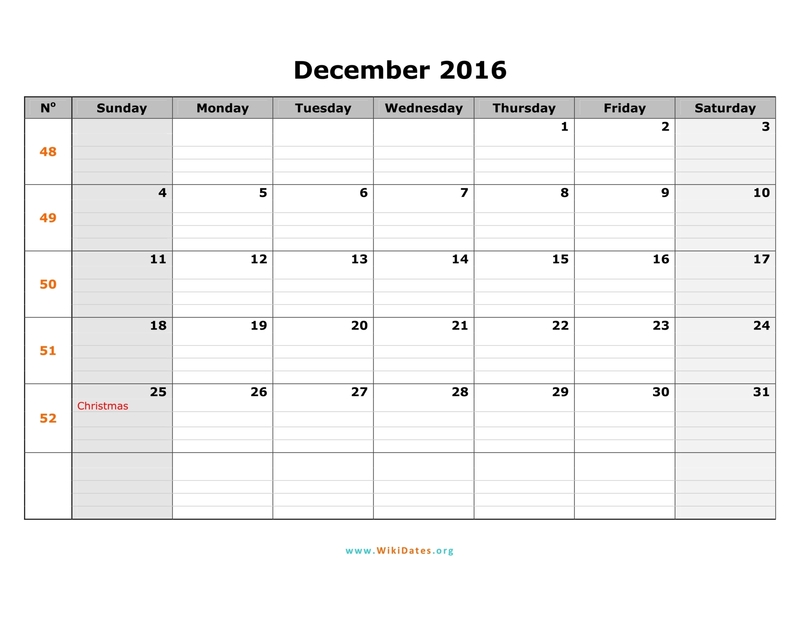 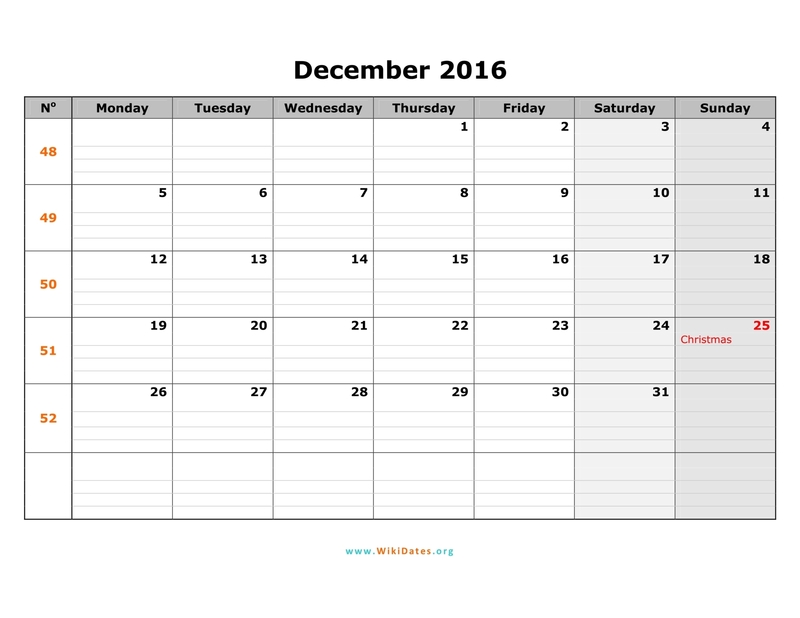 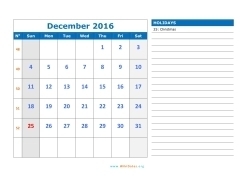 • Printable December 2016 Calendar on one page, including federal holidays and week number. 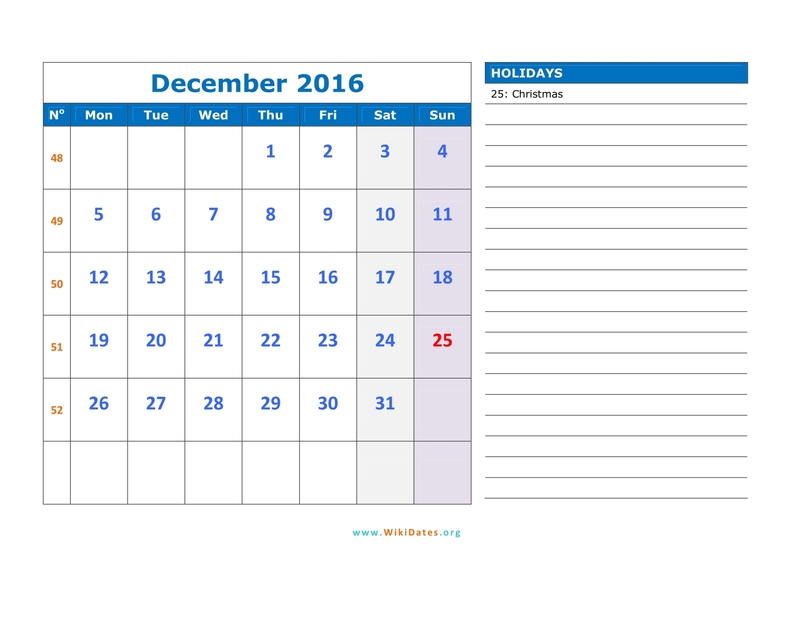 • All december 2016 calendar templates are downloadable, editable and free for personal non-commercial use. 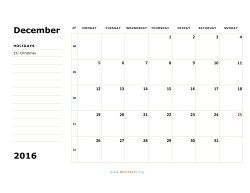 Preview and Download all calendar templates to print at home or at work.